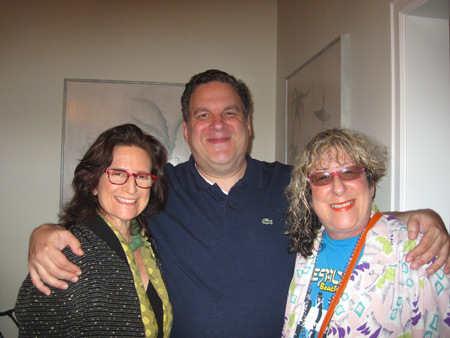 For our first stop, Prudence Fenton and I hit Marla and Jeff Garlin’s house. You know Jeff from Curb Your Enthusiasm. Sometimes the baleboosteh (mistress of the house) serves you bagels and lox and sometimes there’s some nice deli platters. 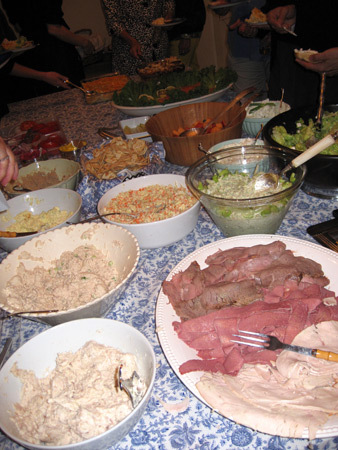 But if Az a yor ahf mir (you should be so lucky) to be invited over to the Garlins to replenish your pupik (stomach) after it’s 24 hour lockout, the shtetl (village or small town) sitting on their dining room table includes corn beef, roast beef, turkey, three kinds of noodle kugel, mac and cheese – thank you for that extra goyish (not especially Jewish) bonus – bagels, lox, cream cheese, cream cheese with chives, three kinds of sliced cheeses, tomatoes, onions, dill pickles, black olives, whitefish salad, tuna salad, egg salad, fruit salad, salad salad, coleslaw and that’s just how far I got down the table before my plate was full. More noshes (snacks) were still coming out when we had to leave after a couple of hours because we had another simcha (joyous occassion) to schlep (get) to. 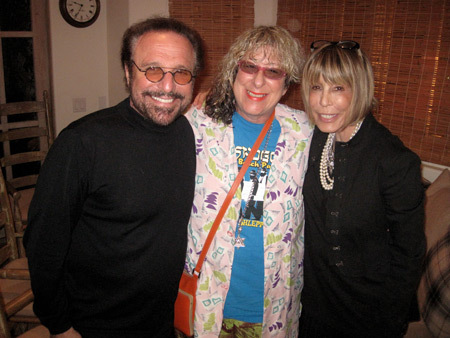 The next amazing nachas (extreme joy or pleasure) food fest was at Barry Mann and Cynthia Weil’s, two of the most balebatim (people of high standing) songwriters on the planet. Being with them makes a songwriter such as myself kvell (explode with joy). 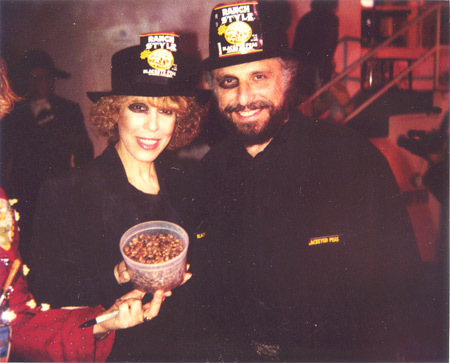 As songwriters go, Barry Mann and Cynthia Weil are EXCESSIVELY KOSHER. Not only are they real mensches (people of integrity and honor), they’ve written some of the biggest gelt (money) earning songs in the eretz (land). 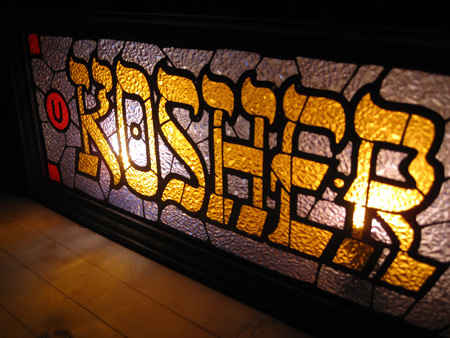 For forshpeiz (appetizers): “You Lost That Lovin’ Feeling” – the #1 most played record of all time, – “On Broadway,” “We Got To Get Out of This Place”,”Uptown” and hundreds of more titles everyone would agree are HIGHLY KOSHER. In 1992, Barry and Cynthia were over at my place for a distinctively non-kosher meal when they came to a simcheh (joyous occassion) where I asked guests to come dressed matching their potluck food. They brought and came oysgeputst (dressed up) like Blackeye Peas. Although I was already too stuffed from the tsegalt zich in moyl (melts in the mouth, delicious, yummy-yummy) meal over at the Garlins, I did manage to kibitz (fool around with) with another songwriting maiven (expert, connoisseur) at Barry and Cynthia’s, Mike Stoller. 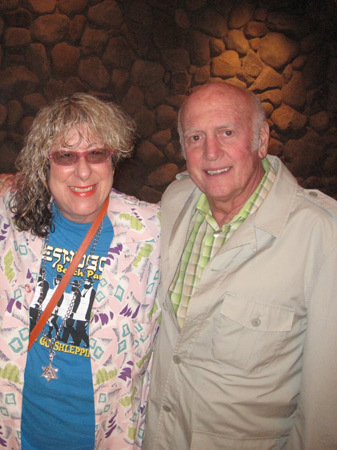 Mike Stoller is truly a KOSHER TO THE MAX songwriter, a choshever mentsh (elite and respected man of worth), one half of the rock ‘n roll dynasty team of Lieber and Stoller. If you’re going to write songs and you’re not Barry and Cynthia and you don’t want to chop your hair off on one side and be me I would suggest being Mike Stoller. A few of his early megillehs (big deals) include chachkes (little things) like “Hound Dog,” “Kansas City,”“Stand by Me,” “Charlie Brown,” and “On Broadway”, written with Barry and Cynthia. Mazel Tov (good luck has occured)! Well, Ms Willis, I am Kvelling, once again, but this time at your impressive command of Yiddishisms. Just reading this made my juices spritz all over my computer screen. please disregard my obvious spelling errors. 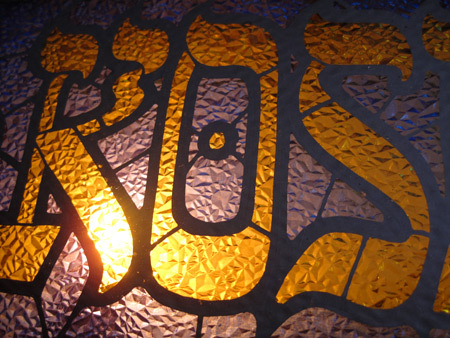 Your all mensches in my mind and as a songwriter I am in awe of you all. Jews may or may not run this town but no one can deny that we sure can put up an impressive display on the Band Stand. Thanks for sharing such fun and Joy and have a wonderful 5772. Allee, I LOVE YOU SOOO MUCH! I never read nor learned so much Yiddish as this one post! And the photos. THE MUSIC!!! Thank you for sharing!!! Last night I was at Dee Dee Ramone’s birthday celebration, La Luz de Jesus. His paintings and my photos of him on display. 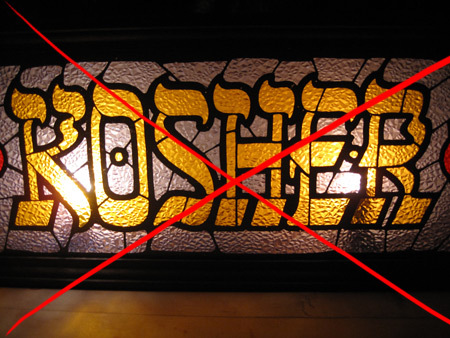 I wore a black Ramones tee, w/large mother-of-pearl Star of David, in honor of Yom Kippur. I had such a blast. It’s wonderful when talent is recognized. It could be early, as in your case and the AWESOMELY amazingly talented JEWISH songwriters. Or this nice Jewish girl from the Valley and my punk pix. But whatta wonderful way to celebrate the HIGH HOLY DAYS. You, this blog post, your photos, your hosts and that food are all 100% certified geshmack (delicious)!!!!!! Zigezunt to you all! Love these comments. Oy vey, Allee, I’m kvelling! Thank you so much for the tip-of-the-kippah wearing our t-shirt to the break fast. I almost hope some of that delish spread got spilled on the shirt, just to increase my pseudo-proximity to that incredible spread! 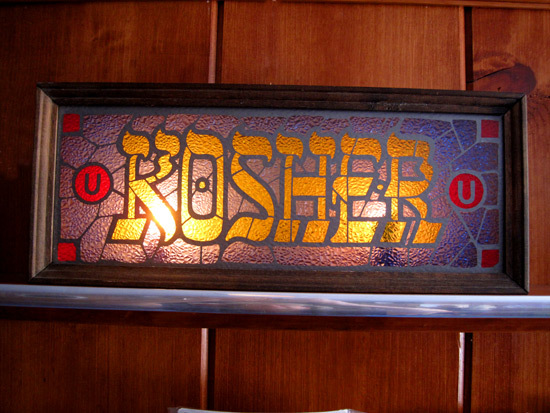 Your kosher sign is in one of my posts! You all look like you had such a great time. Not to be undone by “southern” cousins…thought I’d drop a line and wish you Shana Tova,from the Canadian branch. May you ever continue to practice what my mom, Goldie, would call “narishkeit”(how’s THAT for remembering) and I call brilliant artistic freedom and inspiration.Thanks for that.You never know WHO you will touch.. myself, included. Thanks for that. We’re having a big potluck party this month, kind of for Christmas I guess and I’ve been trying to find something special to take.. found some good ideas at this potluck recipes site. You know, someone should invent a website where you can write what you’ll be taking, and it would make sure no one brings the same thing!